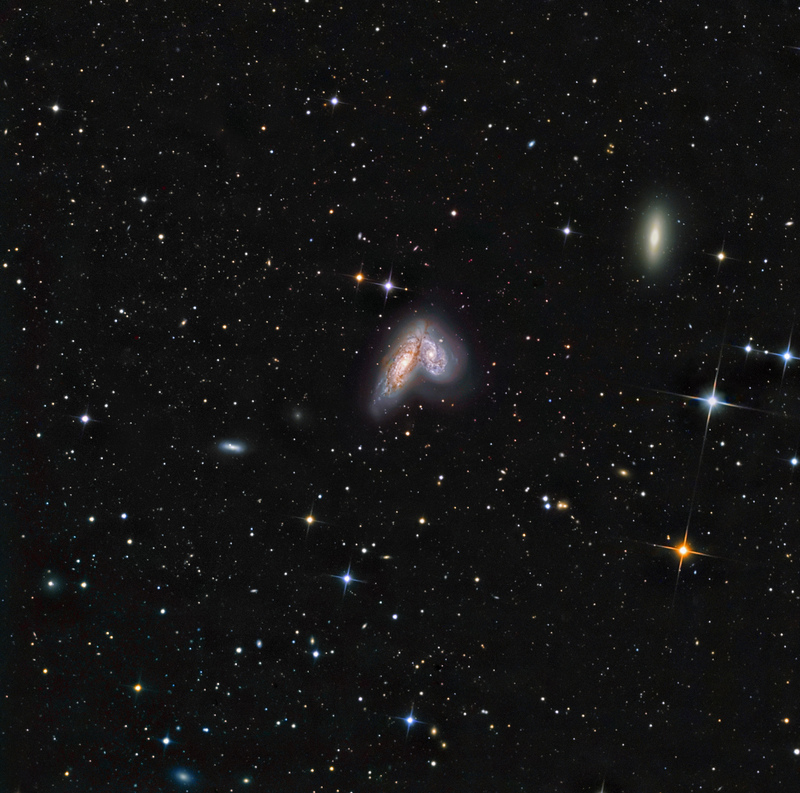 NGC 4567 and 4568, the Siamese Twins or the Butterfly Galaxies, are a pair of connected, interacting galaxies about 92 million light years away in the constellation Virgo. They were discovered by Herschel in 1784. They have an apparent magnitude of 10.6 and are ~ 4.6 arcmin in size. The magnitude 11 elongated galaxy to the right is NGC 4564.